We live in a dust filled world of concrete. We spend hours talking about the virtues of concrete. We pour it for fun and to make money to feed our kids, who will probably pour concrete when of age, like 11 or so….. We will even pour concrete on Sundays. Forget about that day of rest stuff. If the forms are ready we will pour, pour, and pour til the cows come home. It could be a sidewalk or a stamped concrete patio. It could be a driveway today and a cast fireplace surround tomorrow. If the forms are ready we are gonna pour the mud. We live concrete. We don’t build retaining walls or stack stones. We don’t lay brick or do seamless gutters. We are concrete people. Our crew is small and we have been pouring together for over 12 years. 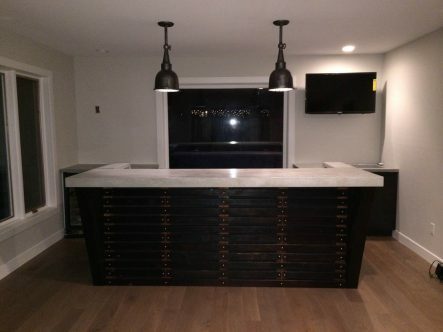 We provide high quality work consistently, same guys every time equals a proper installation without hiccups or issues related to the talent doing the work. We have a long list of referrals and can send you around the metro to check out past jobs. 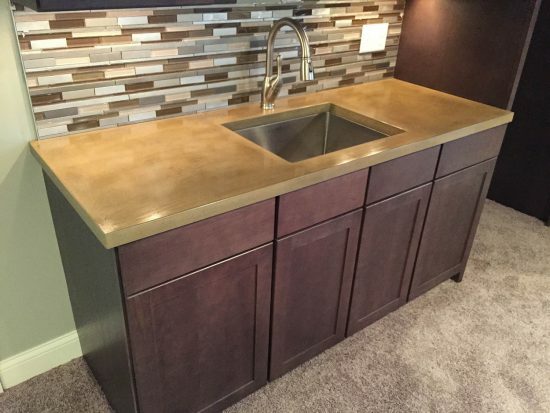 When you want to get creative in concrete we are here to make it happen. I grew up along highway 7 in Montevideo MN, Just 50 minutes away from South Dakota!! After high school I worked for my father in his construction business…We built grain bins and poured the concrete slabs for them all over the 5 state area. After a 5 year run of this, I was sick of being stuck in little towns around the country side for weeks at a time. I needed change. At this point I loaded up my white Chevy Z71 and headed for the big city to get me some kind of education. I attended the Dunwoody Institute and studied Architectural Drafting and Estimating. I did well and adjusted to the city life well..After my first year at Dunwoody I got a summer job in architectural concrete. 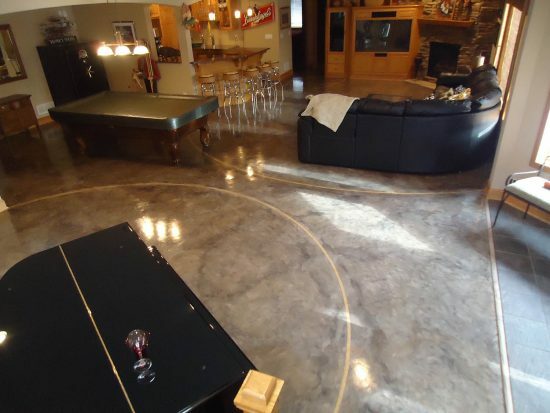 I really enjoyed all aspects of this job and was trained by craftsman with decades of very real experience in stamped concrete, interior floor staining,overlays, and cast concrete….when I graduated I was offered a full time position with the architectural concrete company. This was like going to decorative concrete school x10 and being paid to do it. It turns out if you work hard you will find a place and learn a trade. In 2006, after several years of installing amazing concrete projects I decided to venture out on my own and I created Urban Concrete Works…Since then its been all fun and concreting. As we evolve the work is refined more and more. I cannot wait to see what we are creating in another 10 years.